Depressing, huh? No less than seventeen people agreed! 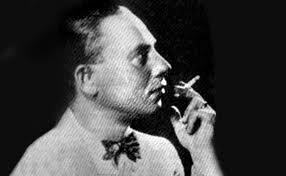 The song Gloomy Sunday was a collaboration between the poet Laszlo Javor and Hungarian composer, Rezso Seress. The song, written in 1932, was allegedly written while Seress was living in Paris, broke, and depressed. After a fight with his girlfriend, he penned the hauntingly beautiful Gloomy Sunday based on the poem by Javor. Javor is said to have written the above lyrics, which chronicle someone contemplating suicide after his lover's death, for an ex-girlfriend. After being rejected over and over, the song was finally released in 1933. Gloomy Sunday didn't actually receive much acclaim until 1936, when a rash of suicides took place throughout Hungary. Hungary, which has always had an inordinately high suicide rate, tipped off a definite "weird history" moment that would live on for generations. No less than seventeen suicides were reported in connection with the song. Several people quoted lyrics from the song in their suicide notes, and many others were found with copies of the record lying near them, or recently listened to. A few allegedly went home and killed themselves immediately following live performances of the song. This rumor was so prolific, that the song was actually 'temporarily' banned from Hungarian airwaves. While it can be substantiated that there were a number of suicides that were in connection with the song, its not entirely surprising, especially in a country with an already high suicide rate. Depressed people listen to depressing music, and its not uncommon to quote passages from favorite books, poems, or songs in one's suicide letter. What isn't substantiated is just how many suicides were in fact, connected. Some say that Javor's current girlfriend committed suicide shortly after the song was released, and some say that it was Seress's girlfriend who was the one to commit suicide. Around the same time as this rash of suicides in Hungary, American artists were falling in love with the song, and racing to churn out instrumental versions and English translation versions. The most popular translation was by Billie Holliday in 1941. Fueling the rumors, this version was also banned by the BBC during the outbreak of WW2 due to the depressing subject matter. In 1968, Seress himself committed suicide by jumping out of the window of his apartment. His obituary alluded to the idea that the suicide was a result of the depression Seress faced over the song and its infamy. He was never able to produce another hit, and many still blamed the song for the rash of suicides. In the 1970s, the "Hungarian Suicide Song" as it was now being dubbed was featured in several supernatural articles and books, confirming Gloomy Sunday's place in "Weird History." Are YOU brave enough to take that chance? If so, listen below! Linked to this page on a facebook page - hope that's ok.
Johnny Interesting is the page, Gloomy Sunday is the post. No problem; thanks for sharing it!